Carryings On Up The Dale: The Dutchmen's Revenge! Despite it being the anniversary of the Charge of the Light Brigade and the Battle of Balaklava yesterday I didn't have the energy to clear the table and sort out a suitable game so decided on one using Pike and Shot/Black Powder (Pike and Powder? Black Shot?) for the French - Dutch War 1672-78 (The Third Dutch War for the English, the Dutch War if you are French and Rampjaar if Dutch. I used much the same armies as the previous week's game but moved the terrain about a bit. We diced for sides and Paul got the French. Paul commented at the start that the game looked a bit one-sided in favour of the French. How wrong can someone be? The Dutch got to move first and began to attempt to form a battle line facing the oncoming French. About half the army failed to respond to their orders and remained in column of march. Tnakfully the French were too far away to capitalise on this and at least some of the Dutch and their allies managed to move. The game developed into a bit of a slugfest as both sides strove to batter the other into submission. As usual I will let the pictures do the talking. The Dutch vanguard. The Dutch horse failed their command throw but thankfully the Spanish/Imperial brigade were able to turn and cover their flank. The end of Turn 1. The Dutch and their Allies are attempting to deploy while I decided to rush my Dutch Horseguards to reinforce my left flank. The Dutch centre slowly moving towards the hedgerows. Imperial and Spanish horse engage the French right wing, which is driven back is disarray. My Imperial cuirassiers have driven all before them, for the time being. The Dutch reserve on their left finally gets into position to support the Spanish horse to their front. Paul beat me to the farm and garrisoned it with a regiment of dragoons, with another regiment on each flank. They were to prove very hard to dislodge from their positions in the farm and behind the hedges, mainly as they kept disordering my lead units so I was effectively pinned on the wrong side of the road. French dragoons holding the farm area. The Allied left pushes on but is about to be halted by fresh French horse. Paul moved the Gardes Suisse and Gardes Francais, together with two more battalions, to anchor his right flank. Dumbarton's Scots regiment (which is on the table using 'warmers' license as they weren't actually in Flanders at this time) advancing up a rutted track on the French right. Paul was tiring of trying to shoot it our with the Dutch so charged home. 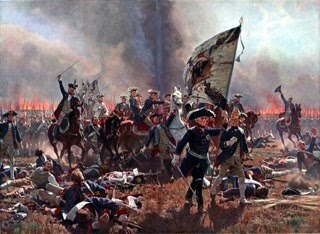 The Swiss hit the Dutch 'Brandenburg' Regiment and after a fierce fight drove them back. Three squadrons of the Gardes du Corps looking threatening on the French left. Imperial cuirassiers and horse find themselves exposed in the open in front of fresh French horse and, just out of picture, a long line of French infantry. 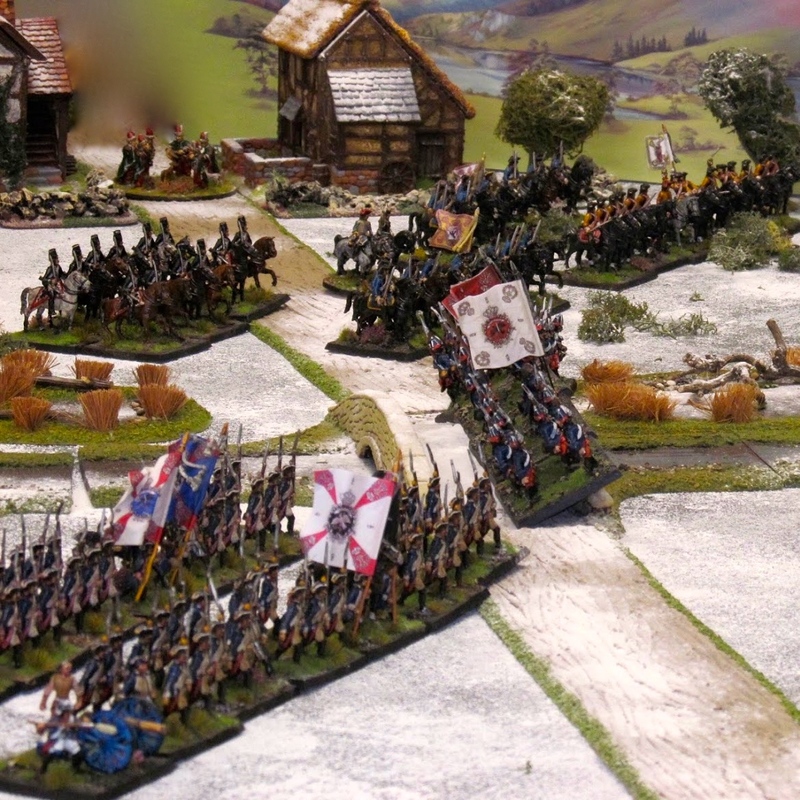 Mackay's Scots battalion (more wargamers' license) hotly engaged with the French, while a Hannoverian battalion has attacked the much battered Swiss. Paul ordered one of his infantry battalions to charge my guns. My closing fire missed completely and the gun was overrun. 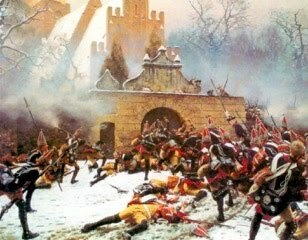 The Hanoverians and Swiss still locked in combat. Regiment Royal Roussillon (in red) is supporting the Swiss. The Swiss (in yellow) have been forced back shaken, as have Mackay's. 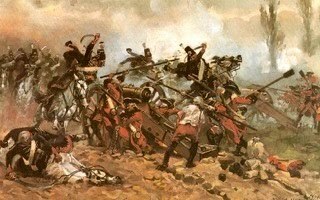 Royal Roussillon are poised to attack the now badly damaged Hanoverians. The brigade to which these units belong is now spent. Four battalions of French marching menacingly towards the now crumbling Dutch centre, and right in front of the 'grand battery'. The main Dutch battery in the centre. The French view of the Dutch cannon! The leading two battalions were battered to a halt and the Dutch Guard advanced and fired down the flank of the leading battalions. The surviving battalions attempted to attack the Dutch centre but they couldn't make any headway against an absolute deluge of musketry and grapeshot. Two regiments of Maison du Roi had been positioned to plunge through the gap Paul had hoped to make but any advance would have been suicide. Dutch Horseguards on the left under the command of the army commander as their brigadier had gone off on a wild goose chase with his dragoons in an attempt to capture the church on the extreme French right, which to be fair, they did manage to do. In the final turns of the game one of the French horse brigades was shaken and forced to withdraw, but so were the surviving Imperial cuirassiers and Spanish horse. The Dutch finally managed to drive off some of the dragoons facing them but were unable to take the farm. 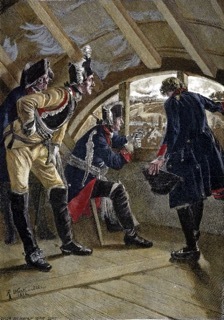 The Gardes Français anchoring the French right. Certainly no right minded Dutchman was going to launch a charge against that lot! And in the last turn of the game three squadrons of Gardes du Corps completed their march across the rear of the French army to support their floundering right flank. I seem to have managed to miss taking any photos of the action over on the extreme Dutch right flank, where the Spanish infantry and a dismounted dragoon regiment were facing a significant force of enemy dragoons, horse and veteran foot. The French had originally been able to capture the town but Paul threw a blunder and they departed to the rear, allowing the Spanish dragoons to take their place. 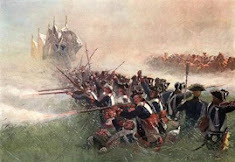 The Spanish infantry and artillery were hotly engaged in an exchange of musketry with two battalions of French, one Swiss and the other German. Ultimately the 'French' were forced to withdraw. In the centre the french had shot their bolt and did not have sufficient strength to mount another attack against a very fragile Dutch line. On the Dutch left a kind of status quo had developed as neither side fancied their chances if they chose to attack the other. Paul conceded defeat, albeit a minor one, and ordered his battered and bruised army to withdraw, leaving the almost equally bruised Dutch and their allies in possession of the field. Superb game. Need to think about some aspects of the rules as the period sits at the very end of Pike and Shot and at the start of Black Powder. Overall though I am happy with the way the games have gone using these rules. I do like Baroque but I find them confusing and hard to follow at times, and for a multi-player game they leave most of the players inactive for much of the time. Off to the Netherlands next week for a relaxing stay in a quirky and superb looking boutique hotel and spa before nipping down to Antwerp on 4 November as CRISIS just happens to be on! Some coincidence eh? Well, I'm Dutch so thanks for making our Rampjaar (Year of Disaster) a little less rampzalig (disastrous). Lovely AAR and a great looking game! Enjoy your trip to the Netherlands, and since I live in Belgium, perhaps we will even have a chance to meet at Crisis. We must try to meet up somehow. That’d be great. Another splendidly colourful tussle! Always enjoy seeing your games spread out before us like this. Great stuff, a very colourful period. Had some figures at one point but Mark C. lost interest and there was not much else available at the time so I sold them on. As always a great looking game and glad the Dutch got a minor victory, given my distant ancestors came over to drain the Fens. One of my favourite periods, splendid figures, outstaing uniforms...looks superb! Awesome looking game. Fantastic figures! Much as I'm not a fan of 'Pike and Powder' and variants, this is the finest period, and a simply beautiful game and figures collection.